Why are there so many formulas for area and volume, and why do some of them look alike? Why does one quadrilateral have no special name while another has several, like square, rectangle, rhombus, and parallelogram-and why are all these names useful? How much do you know ... and how much do you need to know? Helping your students develop a robust understanding of geometry requires that you understand this mathematics deeply. But what does that mean? 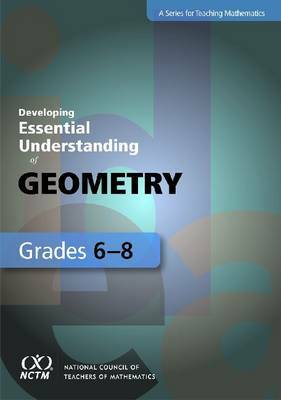 This book focuses on essential knowledge for teachers about geometry. It is organized around four big ideas, supported by multiple smaller, interconnected ideas-essential understandings. Taking you beyond a simple introduction to geometry, the book will broaden and deepen your mathematical understanding of one of the most challenging topics for students-and teachers. It will help you engage your students, anticipate their perplexities, avoid pitfalls, and dispel misconceptions. You will also learn to develop appropriate tasks, techniques, and tools for assessing students' understanding of the topic. Publisher: National Council of Teachers of Mathematics,U.S.